Williamson Williamson Selected for the Architectural League of New York's 25th Annual Young Architects Forum | Williamson Williamson Inc.
WILLIAMSONWILLIAMSON are winners in the Architectural League of New York’s 25th annual Young Architects Forum Competition. Their work, along with that of the five other winners, will be featured in a book to be published by Princeton Architectural Press. An exhibition of the work will be open to the public on April 27th at the Urban Center Gallery. Shane and Betsy will lecture along with co-winners Yansong Ma and Yosuke Hayano of MAD Office at the Urban Center on the opening night of April 27th at 6:30 PM. 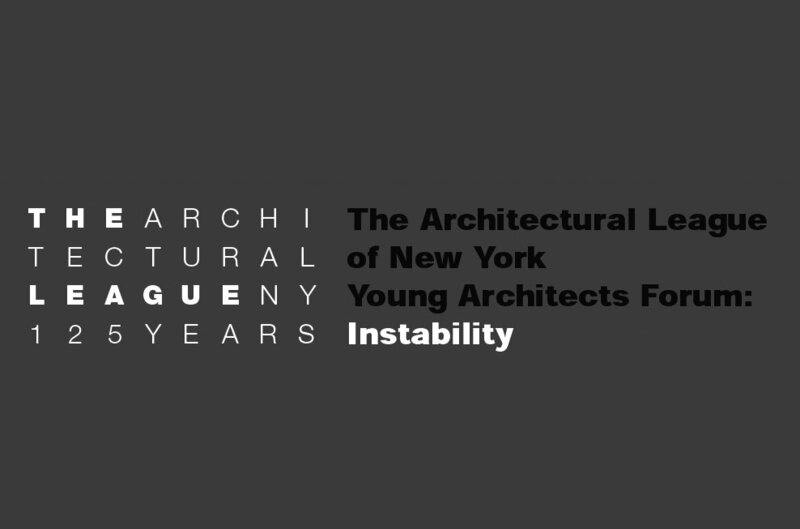 Founded in 1881, The Architectural League of New York is an independent forum for the presentation and discussion of creative and intellectual work in architecture, urbanism, and related design disciplines. Since its inception in 1981, the Architectural League’s Young Architects Forum has provided many of the leading talents of succeeding new generations of architects and designers a valuable opportunity to present their work and ideas.